WHAT WE DOThe People’s Resource Center is a lifeline to people in financial need, as well as a pathway of opportunity for their future. 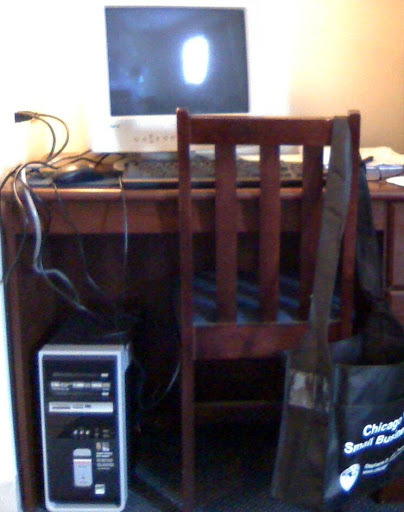 Since 1998, PRC has had a major technological impact on the lives of thousands of low-income DuPage County residents through the PRC Computer Training Program and the PRC Computer Technology Access Program. These two programs provide free computer literacy instruction as well as free reconditioned computers for households.As our county’s economic base has been transformed by technology, a digital divide has developed presenting educational and employment barriers for increasing numbers of people in our community. All work and educational environments require computer skills, but many people lack basic computer skills, and cannot afford a computer in their home. The PRC’s Computer Technology Programs respond to this community need by teaching computer skills in neighborhood based classes and also providing refurbished computers complete with Microsoft software, for family’s homes. HOW WE DO ITComputer training classes are provided in a number of neighborhood learning centers throughout DuPage County. Volunteer computer instructors teach a variety of classes for every skill level. Each class runs for 90 minutes once a week for seven weeks. •Introduction to Computers•Windows Fundamentals •Working On-Line•MS Word•Excel 1 •Excel 2Training Sites Training sites are located throughout DuPage County. Please see a map of the training sites, which also includes their addresses, and directions. The schedule for each seven-week session is customized to accommodate students’ needs, volunteer instructors’ skills and availability, and holidays. Please see the overall 2009 Training Schedule and the Current Class Session listing the site, day and time, and instructors for each class. Class Registration All students must register for each class session by calling the People’s Resource Center (PRC) at phone number 630-682-5402; new students must come to the People’s Resource Center to register as a client. How to become a PRC Client. Computer Class registration can be accomplished on site after registering with the PRC. Please see and print out computer class registration form for next session.